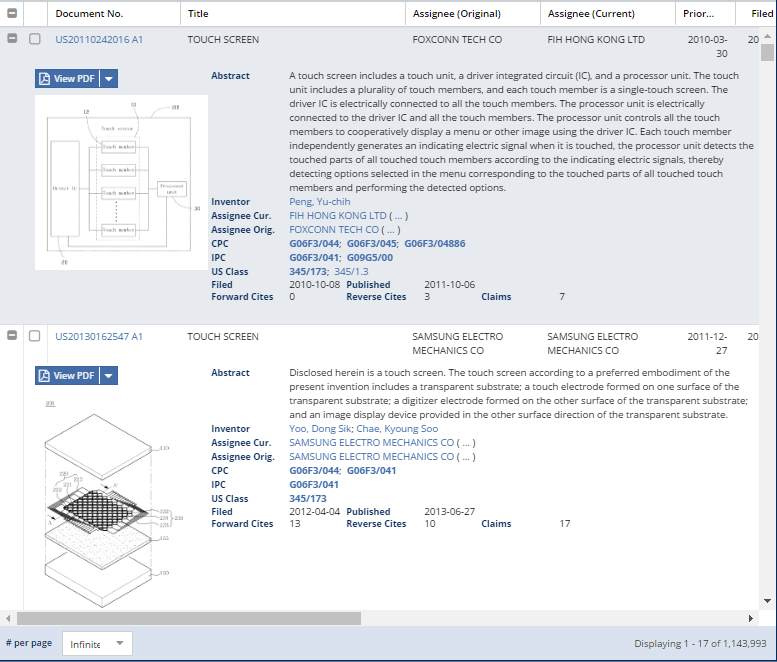 To open an individual expander row and view the representative image (1), patent abstract (2), buttons to view PDF (3), and other data (4), click the small + icon on the left of the grid (highlighted with arrows). The + button toggles between + and - so you can open and close the view as desired. If you want to view your entire search results in the expander row view, there are two ways to do so. The first is to go to the View menu and choose Expand/Collapse Rows. This action toggles the entire set of results. 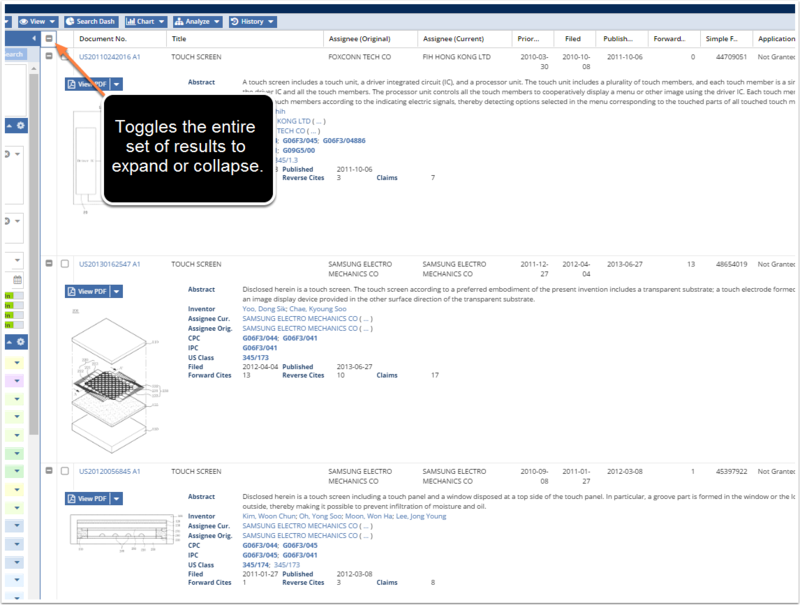 Therefore, to close all the expander rows, select View>Expand/Collapse Rows again. The second way to expand or collapse your entire search results in the expander row view is to click on the small + or - icon on the header bar. Clicking the icon will also toggle the icon between the + icon (to expand all) and the - icon (to collapse all). The expander row view includes a fully exposed abstract and representative image. 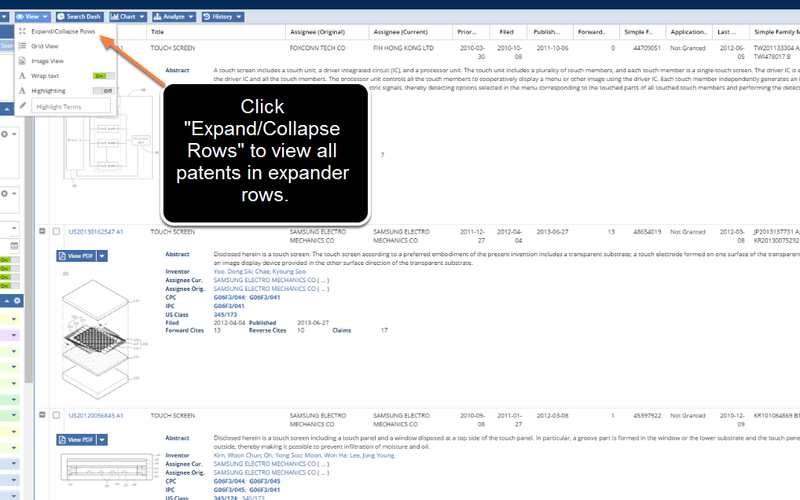 It is a great way to quickly view a large set of patents if full details are not required. Notice that the check box is still available on the left. 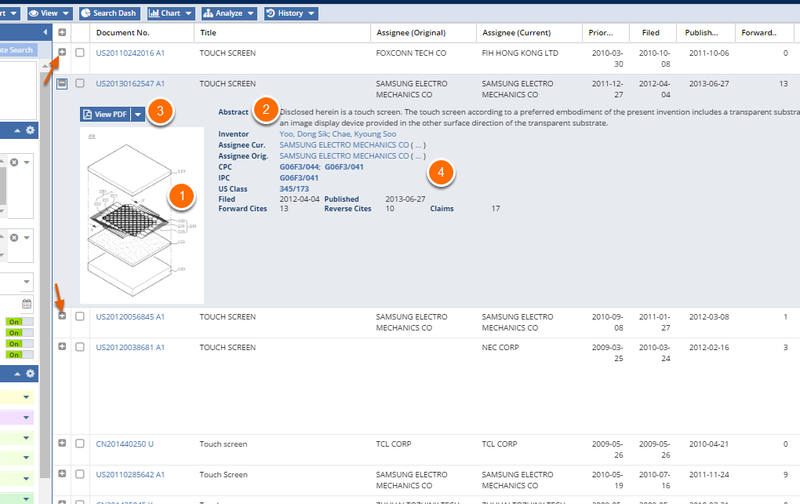 "Interesting" patents can be checked, then added to a Research Folder for a deeper analysis at another time.